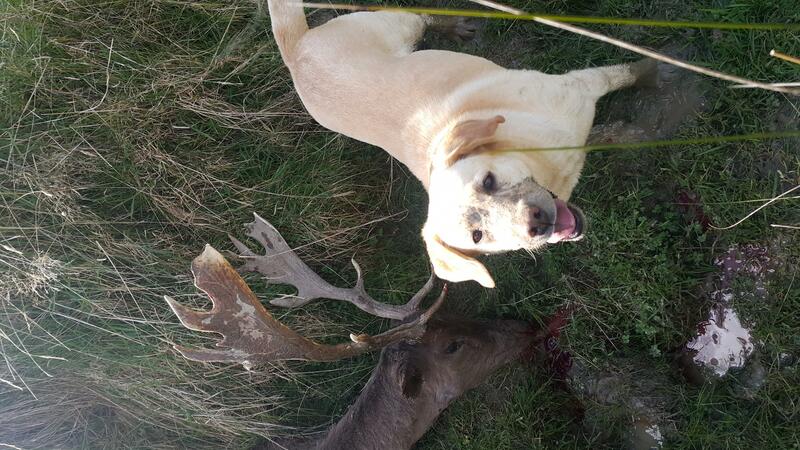 Took the boy out today for a quick walk about seens as it was a ripper day, Shot a fallow stag and a red. Its unreal how much he buzzes of it, really makes my day. Amazing how quick he picked up on stalking and being quiet, crawling about etc etc. meat on its way to ohutu for small goods. Wildman, P38, Shootm and 20 others like this. 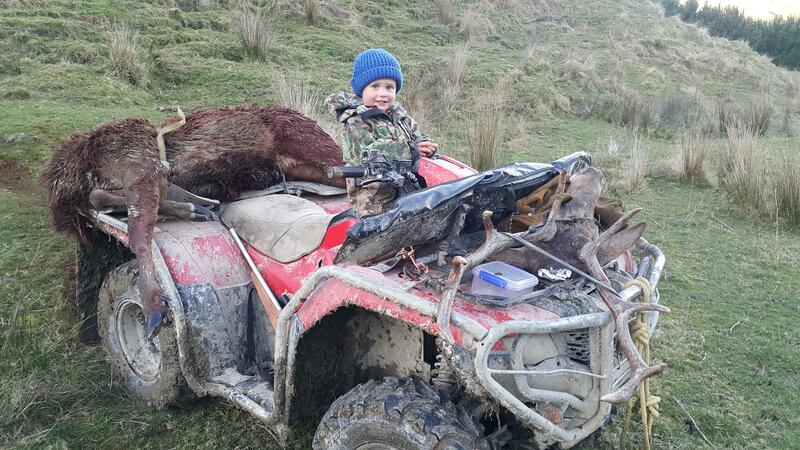 Cool day out with the young fella, love his gun, won't belong and he will want his own real one. nice stags also. 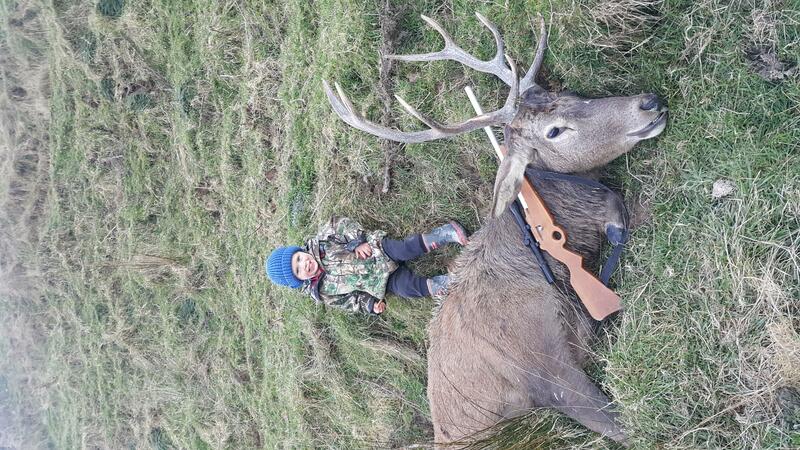 I feel that children should be taught safe handling and how to use firearms from an early age, children who are hidden from firearms are more likely to play with them if they found one that was not secured. In the old days before gun safes my rifles were in a cabinet that was easily accessible but my son never touched them nor any of his mates. I think this was due to being introduced to firearms at a young age and being shown they are not toys but deadly weapons if used in correctly. 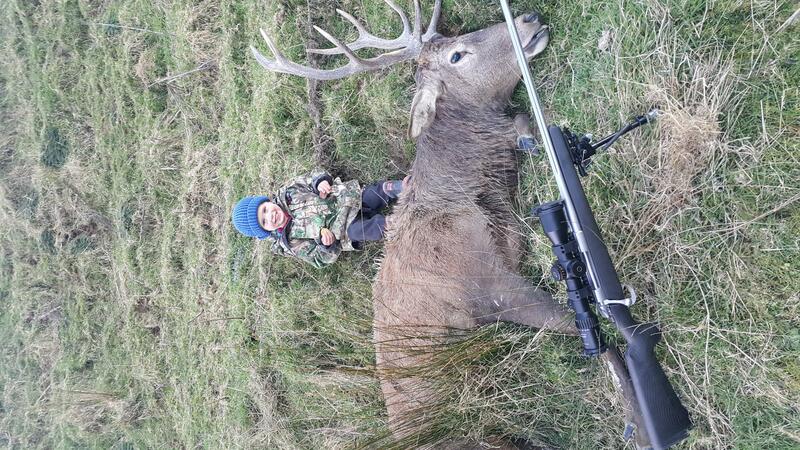 Good on you guys for taking the time to teach them right, it's our future in Hunting and Shooting that you are forging. paddygonebush, Beaker, Gibo and 2 others like this.